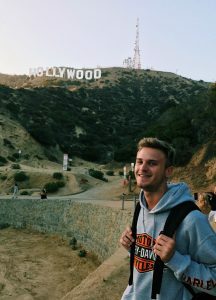 Our students love the Melrose area — art, food, markets… you can enjoy it all in the beautiful Los Angeles sunshine! Hey guys! It’s Tommaso from Italy. If you’re planning to come to LA, make sure to spend an afternoon going around Melrose. There are breathtaking masterpieces filling the walls everywhere you look! And these are great for taking pictures. You won’t be disappointed, especially if you’re into art and trying new food! 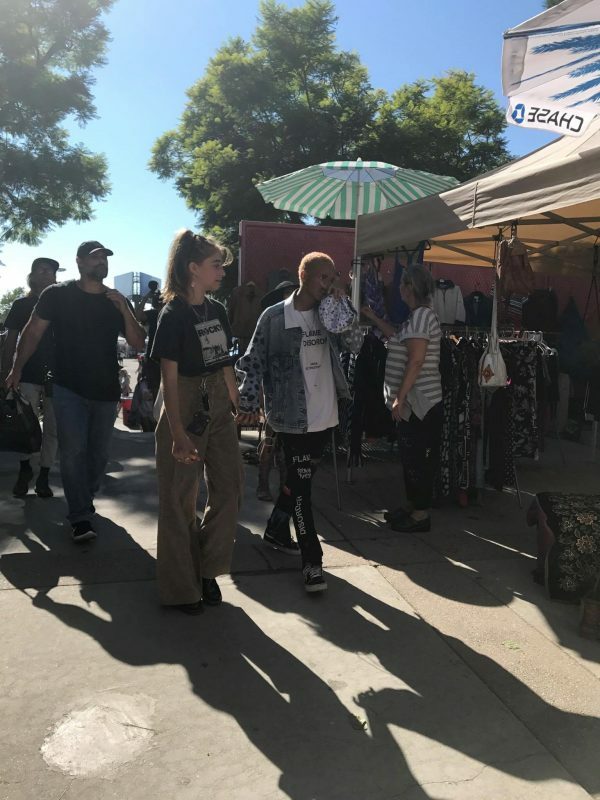 In this article I wanted to tell you guys more about the Melrose & Fairfax Flea market. 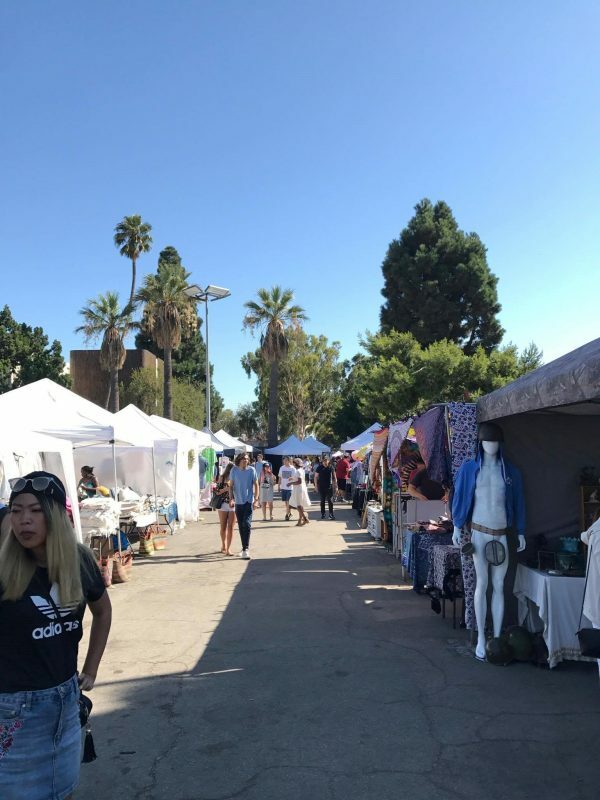 Known also as Melrose Trading Post, this market is consistently listed as a top Los Angeles destination stop by numerous tourist websites and featured in publications and media all over the world. 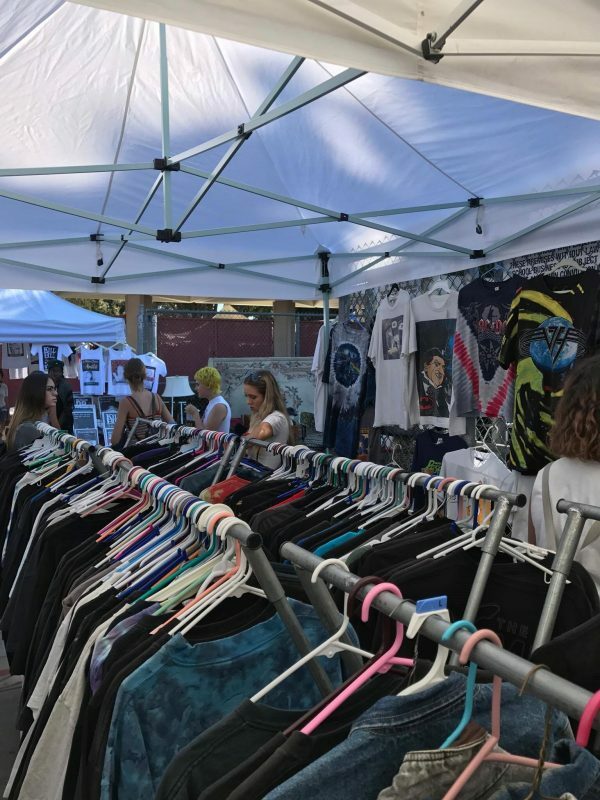 Between 4000 to 5000 people visit the Melrose Trading Post every Sunday. You can easily find this market by typing on Google Maps “Fairfax High School”. The entrance fee is $3 which goes to support Fairfax High School. If you’re into vintage items or looking for something that gives off that “LA Vibe” this would be the spot. 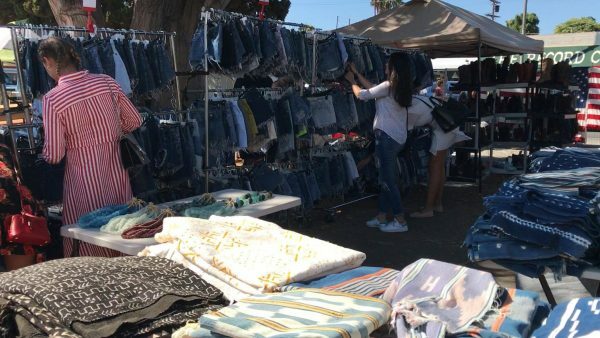 There’s a variety of “hipster” vendors selling an array of items ranging from succulents, antique furniture, wall decor, handmade jewelry, and clothes. The items are a little pricey but it’s a great place to find some vintage gems. There is also a great food court with the best Mexican food in the area if you are hungry! And…… keep your eyes open. This is one of the main hotspots if you wanna look for celebrities. Thanks Tommaso for this great advice!